Fox’s upcoming New Mutants has found its Roberto Da Costa (Sunspot) in 23-year-old actor Henry Zaga of Teen Wolf and 13 Reasons Why fame. For some fans, the news was another positive step towards the New Mutants finally making their cinematic debut. For others, though, word of Zaga’s casting was bittersweet. While both Roberto Da Costa and Zaga are Brazilian, Sunspot has been canonically depicted as Afrolatino, which Zaga does not appear to be. When Sunspot was originally introduced in the first issue of The New Mutants back in 1984, it was explained that Roberto, who is from Brazil, was biracial and born to a white American mother and a black Brazilian father. In one particular flashback to his life before he came to live at the Xavier Institute, Roberto recalls experiencing anti-black racism during a soccer game back home, specifically because of his mixed heritage. In a fit of anger at Roberto’s skill on the field, a pair of white players fouls him and when Roberto retaliates, the entire team gangs up on him, throws him to the ground, and beats him. 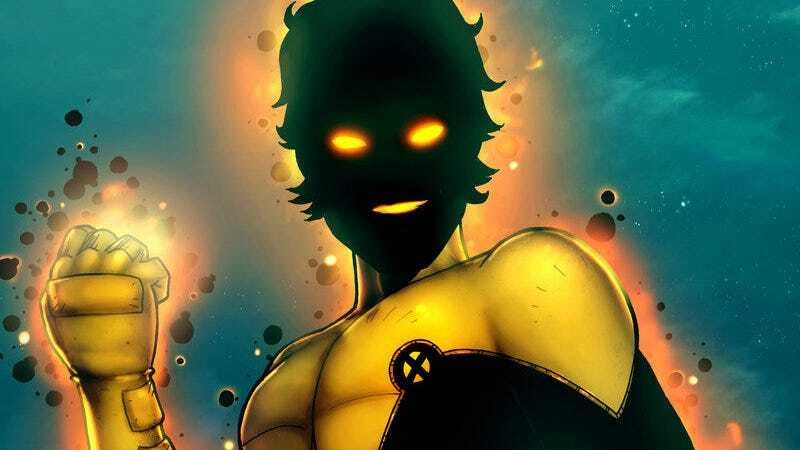 As far as origin stories go, Roberto’s is one that most explicitly uses mutant-ness as a direct metaphor for racism, which meshed perfectly with the New Mutants’ goal of trying to replicate the successes of the X-Men formula with a younger, more ethnically diverse roster. In the earliest days of his being a member of the New Mutants, Roberto was consistently drawn with the sort of features often associated with Afrolatino Brazilians, in particular, darker skin and curly hair. Over the years, however, as Roberto’s gone on star in other Marvel comics, his looks have gradually changed in a way that reads to some as if the company is erasing his blackness. The coloring process in comics can be fraught, especially for characters like Roberto who have been illustrated by dozens of artists of the course of 35 years. But where some characters, like Storm, have retained their canonical melanin, Roberto’s has seemingly dissipated. For instance, Roberto’s darker brown skin tone was kept consistently brown throughout the entirety of New Mutants’ run and even when the character was featured on the short-lived X-Men: Evolution cartoon series. In more recent years, though, since the character has reappeared as the new director of A.I.M. in 2015's The New Avengers, his looks have changed in a way that greatly downplay his original blackness. Similarly, the character was portrayed by, Adan Canto, a Mexican actor in Days of Future Past. Roberto as he currently appears in Marvel’s books. All of this brings us to Zaga’s casting, which has renewed some of the preexisting critiques that Marvel and Fox are “whitewashing” Sunspot—that is to say erasing his blackness in favor racial identity closer in proximity to whiteness. Whitewashing in and of itself is a longstanding problem that Hollywood studios still grapples with, but in the Sunspot’s case, there’s a larger cultural conversation about black Brazilians that has to be addressed. It’s impossible to speak about black Brazilian identity without taking into account the country’s longstanding history of colorism and racism that were established as a result of Brazil’s participation in the Atlantic slave trade. Put simply (although you should definitely read up on it,) in the centuries after Brazil’s population of black slaves were freed, many black people have often found themselves living lives of second-class citizenship marked by infrastructural racism that economic disenfranchisement. One of the more subtle, but nonetheless insidious manifestations of this kind of discrimination is the idea that black Brazilians (like Roberto) don’t exist and that to be Brazilian is to be non-black. It’s for that reason in particular that Zaga’s casting has raised more than a couple of eyebrows. To be clear, this issue is complicated, as all instances of thoughtful portrayals of marginalized people tend to be. But when it comes to depictions of black people—particularly mixed-race black people who are historically denied access to their rightful ethnic identities because of their skin color—optics matter in a way that can’t be ignored. Perhaps the most disappointing thing about all of this—the erasure in both the comics and the movies—is that there’s an incredibly simple solution to it: just change the way the character looks in the comics and, in the case of the movie, approach the casting in a more thoughtful way. New Mutants had a chance to roll back decades of Roberto da Costa’s blackness being eclipsed and eventually snuffed out by a more general “Brazilian-ness”; by the looks of it, that chance was wasted.